The Eastern Regional Director of Ministry of Food and Agriculture (MoFA), Mr Henry Crentsil Jnr. 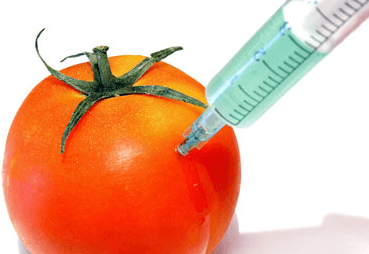 has called for the need to repackage messages related to Genetically Modified Technology to clear the misconception people have on Genetically Modified Organisms (GMOs). He explained that without a well packaged message that convincingly explain and answer public concerns, the adaptation of the technology to help the country to respond appropriately to the impact of climate change and population increase on agriculture would be very challenging. Mr Crentsil made this remarks in an interview with the media at a training workshop organized by Open Forum on Agricultural Biotechnology (OFAB) Ghana, a Non-Governmental Organization (NGO) at Nkawkaw. OFAB Ghana is a member of the OFAB Africa group, which aims at creating awareness on bio-technology and genetically modified organisms in Africa, in Ghana, the project is hosted by the Council for Scientific and Industrial Research (CSIR). The one day training also aims at ensuring that the farmers understand the technology and would be able to adopt it effectively and address the misconceptions many people have concerning GMOs. Mr Crentsil Jnr called for the creation of the necessary environment in terms of policy guidelines, laws and institutions needed to provide the biosafety environment for the adaptation of genetical modified technology to enable the country to achieve the expected yields in agriculture. He called for collaboration among all stakeholders to help realize the adaptation of genetically modified technology in agriculture. A Research Scientist at the Biotechnology and Nuclear Agriculture Research Institute (BNARI) –Ghana Atomic Energy Commission, Mr Daniel Osei Ofosu said the workshop is intended to educate participants to clear the misconceptions about the technology. Mr Ofosu indicated that with the continues interaction, people would understand and see the need for the technology. Mr Ofosu said GMOs are good and Ghana is in the process of testing some GMOs to be used in the agriculture sector, because the challenges faced by the agriculture sector needs improved technologies in solving it. Mr Ofosu assured Ghanaians that the technology is going to be well managed because there are relevant laws and institutions to ensure the safety of humans and the environment. Mr Odame Asante, a farmer at Banka, a farming community in the Kwahu West District, said the training has enlightened him and helped cleared the misconceptions he and most farmers had about GMOs. The over 60 participants who were farmers and Agriculture Extension Officers as part of the training were sensitized on GMO seeds: how they are made, regulations and Biosafety in Ghana and the Economics of GMOs. Very poor choice of photo to accompany the article!